Filipinos love to eat! When special occasion arises, we usually prepare the best for our family members and guests. 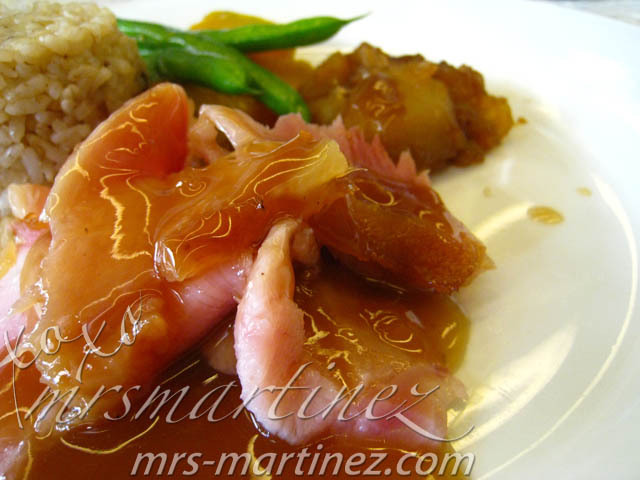 Now that the holiday season is here, only one Christmas ham will be the star of Noche Buena... Purefoods Fiesta Ham! 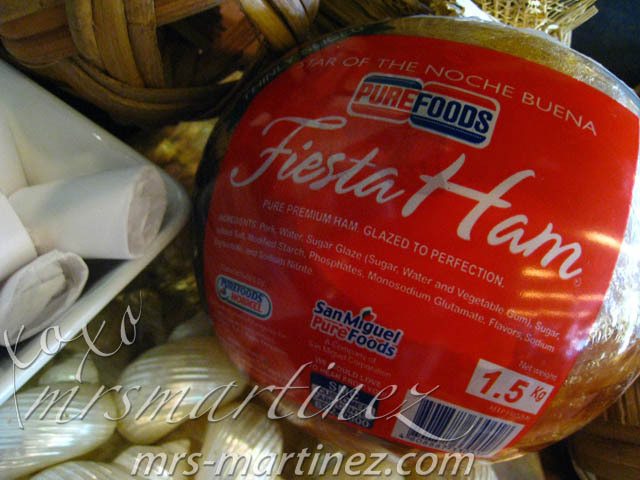 Every year, during Christmas season, I received at least one Fiesta Ham... no kidding! Apparently, it is the # 1 ham in the Philippines. In fact, according to the most recent survey of TNS Philippines, Purefoods Christmas hams are preferred by 8 out of 10 moms. 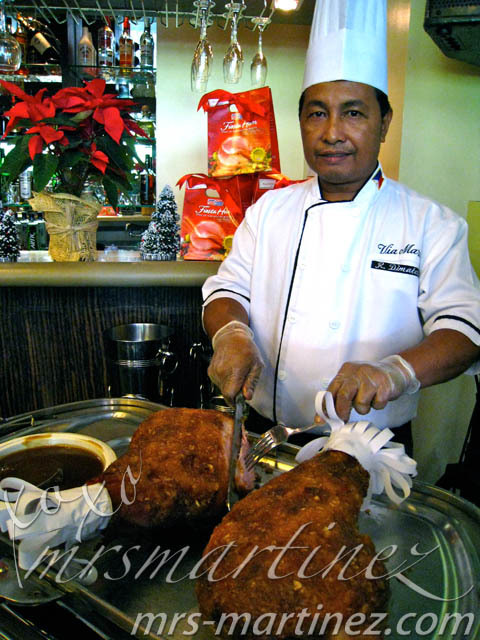 In the recent event that I have attended which was held in Via Mare Oyster Bar, none other than Ms. Glenda Baretto, the owner of the oyster bar herself, prepared a sumptuous meal for everyone using the Purefoods Fiesta Ham as the main ingredient. Shown in the photo above together with Ms. Baretto (from left to right) are Purefoods Brand Manager, Christine Jacob- Sandejas, Danica Sotto- Pingris, Barbie Almabis and Suzi Entrata. It was Christine who hosted the event. 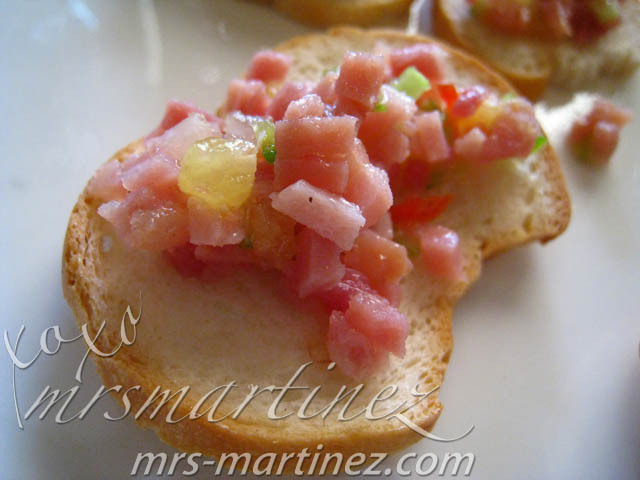 I was really hungry so I ate 3 of these ham canape ; p The caramelized pineapple combined with Purefods Fiesta Ham topping made this appetizer really irresistible. I have not eaten asparagus in such a long time, this is surely a welcome treat for me. 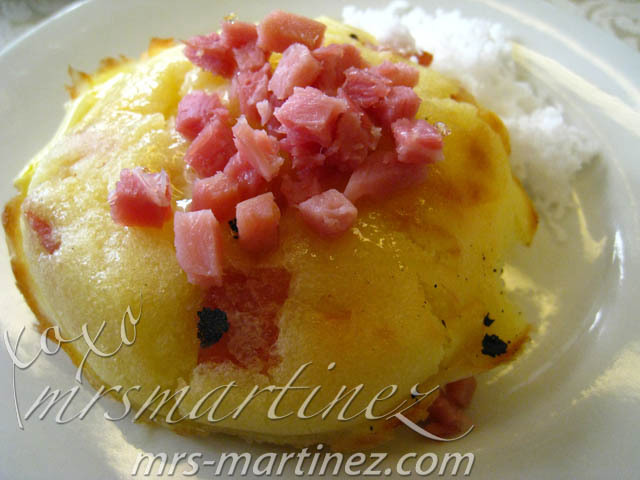 You can change the kind of vegetable wrapped by ham or replace it with fruit instead. 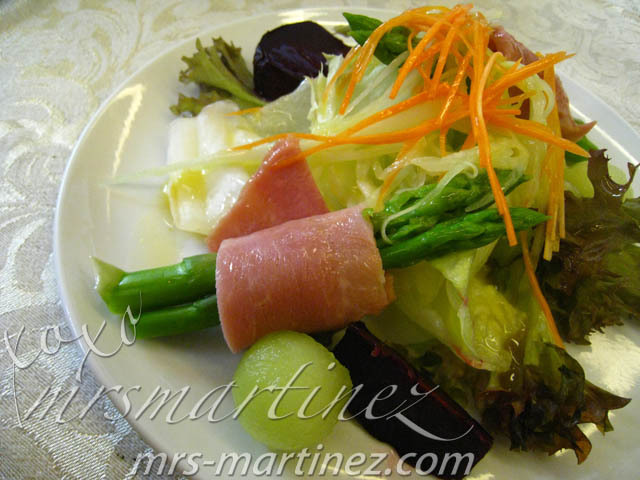 Whatever you decide, your salad will still be a healthy and yummy treat for your family and guests. carved Glazed Bone- In Leg of Ham, anyone? With a little creativity on your part, you can do these dishes at home too! 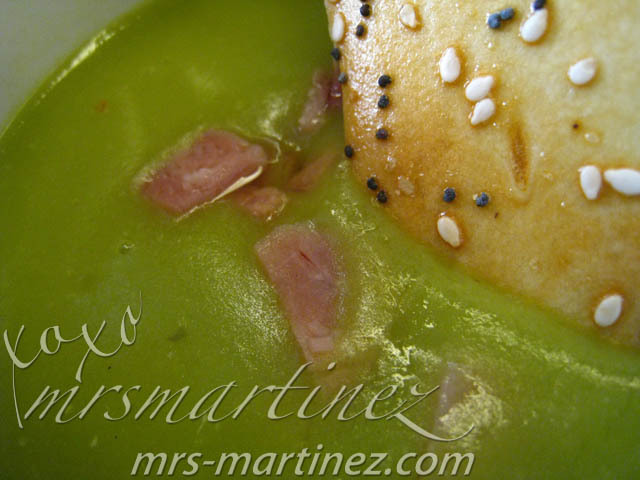 Or you can check out the recipes at My Great Food. Happy cooking! 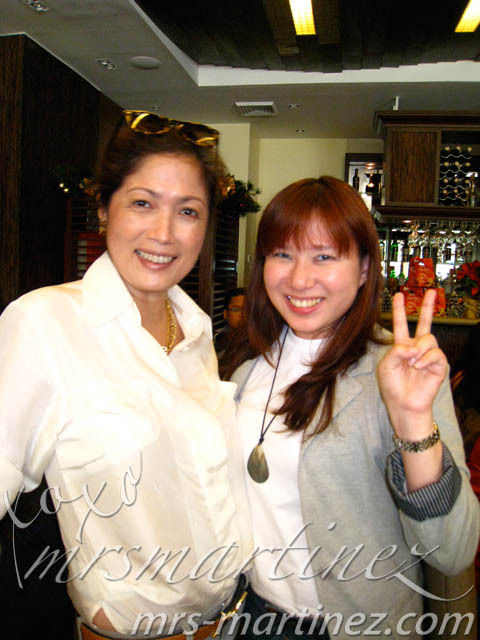 Incidentally, Ms. Tina Tagle- who doesn't know her, right? !- was present during the said event. I coaxed Annie Ringor of Bridges PR to introduced me to Tina. Suffice to say, I was very happy with the photo and conversation I had with her. Thank you, Annie! NEW 3.5kg/piece Fiesta Ham Smoked Bone- In with an additional smoked taste that's perfect for grand celebrations. Whatever you choose, you can be assured that Purefood Fiesta Ham is the best quality, best- tasting Christmas ham there is!